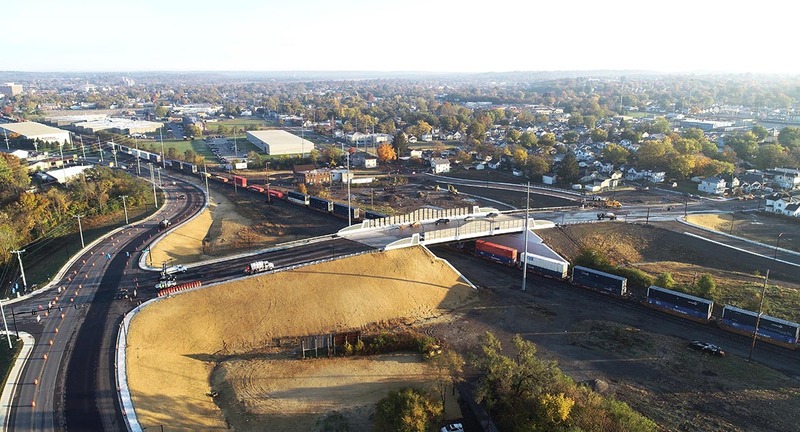 The City of Hamilton and the Butler County Transportation Improvement District retained B&N to provide the planning, engineering, and environmental services for the replacement of a dangerously skewed at-grade railroad crossing with a grade separation in Hamilton, Ohio. Using the Ohio Department of Transportation’s 10-Step Project Development Process to execute the project, the design involved relocating several City streets and extending the existing Grand Boulevard over the railroad and through City-owned property, ultimately creating opportunities to spur economic development for the area. Railroad coordination was a key component of the planning and design process. In addition, several alternatives were presented to the public and project stakeholders for review and comment, along with two public information meetings held during the completion of the preliminary design. Once the preferred alignment was selected, the final design and detailed construction and right-of-way plans were prepared.